How Can Personal Training Help With Employee Fitness? Across the UAE more companies are realising how corporate based workout programs can help with employee health and fitness. Interested in helping your employees lead a fitter, healthier lifestyle? Man hours lost and workplace injuries are just a couple of examples where implementing a corporate wide health and fitness system. With the aid of specialist companies like Advantage Sports UAE your business need not suffer from many of the elements associated with absenteeism and an unfit workforce. Many companies in Abu Dhabi are now seeing the benefits of having a workplace-based health and fitness program. These corporate fitness initiatives can range from Yoga for employees in Abu Dhabi to pre and post natal classes for mothers. As a health, fitness and Lifestyle Company based in Abu Dhabi what are your thoughts on the importance of training in the workplace. In Abu Dhabi Corporate Wellness in the workplace has never been more popular and important than it currently is. This has been a growing trend over the past few years which will continue to flourish. Comprehensive Wellness Programs are the future and more and more companies are leading by example and offering this new initiative to their employees. As Employers we all have a duty of care to our staff and research has also show that it is cost-effective to invest in screenings, health appraisals, behavioral coaching, fitness, and health awareness. The importance that Employers are now assigning to ‘Wellness Projects’ in the work place, is due to the broad spectrum of areas that it helps to improve.Even having just basic exercise classes in the workplace have a huge effect on things like team building, staff morale, communication and productivity between staff – as well as the obvious benefits of having Fitter and Healthier staff members in the office. These are really tangible benefits for employers in Abu Dhabi who can See, Watch and Feel the differences immediately. In your experience as a corporate fitness personal trainer what are the main reasons why companies are looking for external health and fitness providers in Abu Dhabi. Mainly for the specialization that our types of company can provide.Not just in the delivery of the actual sessions, but in the design, timing, structure and implementation of how they could potentially work. We provide a whole array of support and experience from many years of practice. For companies wishing to experience the maximum return on investment from their wellness initiatives, Advantage Sports Comprehensive Wellness Programs offer short & long programs that engage employees and their families on an ongoing basis. Wellness initiatives encourage long-term participation by reaching out to employees and their families throughout the year. 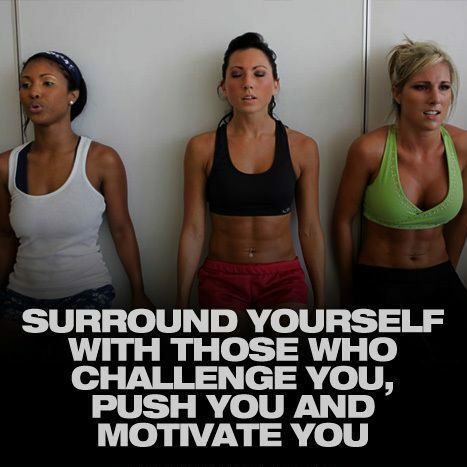 This is most certainly the best way for participants to achieve their health and fitness goals. Monthly Lunch & Learn Seminars. Every element can be written to suit each company and their employee demographics. Do companies in Abu Dhabi need an on-site gym for their employee workout programs or can these programs be designed without the need for too much specialist fitness equipment? Gyms are definitely not a requirement for any corporate project, and in most cases, we actively avoid using them.The workplace tends to have a very broad spectrum of people within it, all with varying Loves/Hates and Preferences, and exercise is no different.Just limiting our choices to Indoor Gyms, may really interest some, but also alienate others.All locations indoor and outdoor can be modified to suit. Can you give a couple of examples of employee workout programs that are provided by a personal trainer and explain how these programs help employees in general with health and fitness? There are many that can be offered, but a common scenario would be and employer who is looking for, basic exercise instruction and classes for all staff – whereby we would plan an optimal weekly schedule for the company which we would run on site for them for all staff members. And then something which is a little more technical and partner based used for team building and improving the communication of employees such as Boxing. Offering a selection of sessions, allows the employees to naturally gravitate towards the one they will find more beneficial to them at that time. If you are a company in Abu Dhabi, Dubai or Sharjah investing in a corporate health and fitness training plan is designed to save you money and improve the performance, health and happiness of your employees.